Bring on the turkey coma! I love Thanksgiving and today I thought it would be fun to gather up all of my best Thanksgiving ideas from the past and share them all in one place. My Thankful Pumpkins are such a great way to document what you and your family are most thankful for every year. 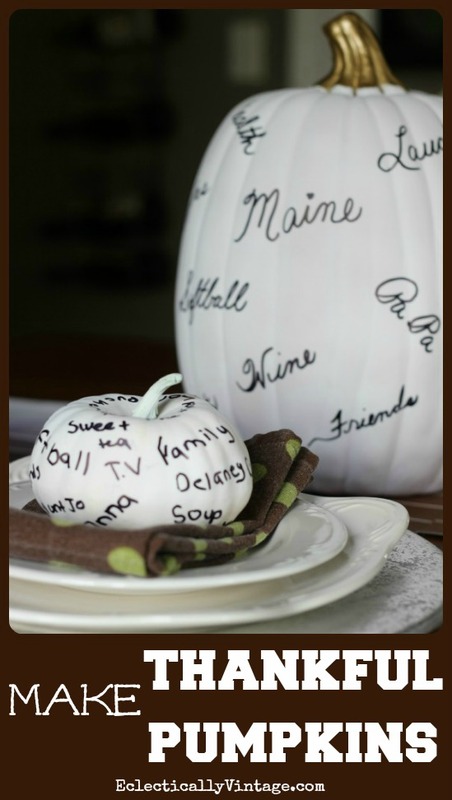 It’s fun to add a mini pumpkin to each place setting and have your guests write what they are thankful for. 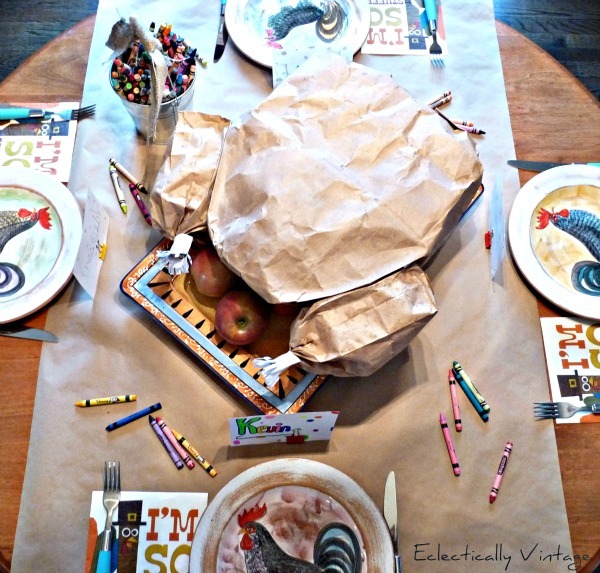 My kids loved this Paper Bag Turkey! It’s fun for them to “carve” the turkey and see what’s inside. 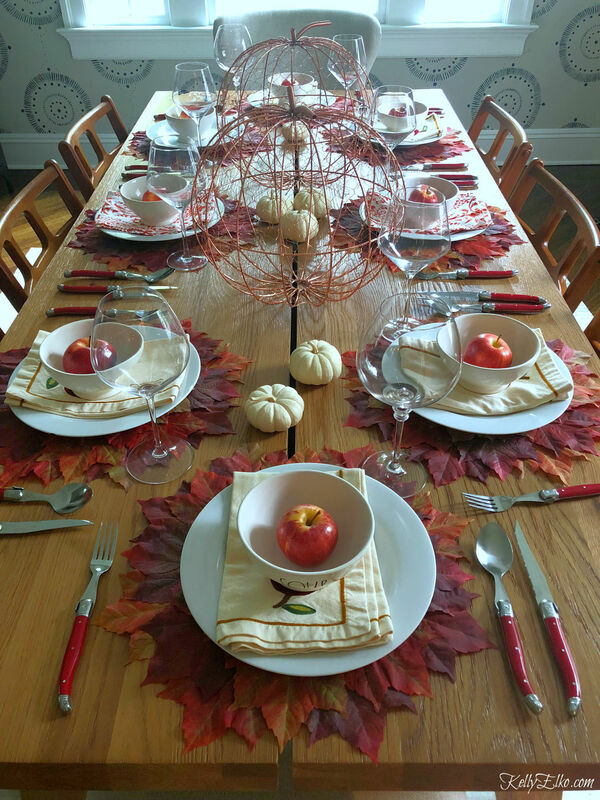 I am absolutely in love with my Thanksgiving table this year. My affiliate Leaf Placemats are on clearance for only $1.48 so if you love them as much as I do, scoop them up for next year. 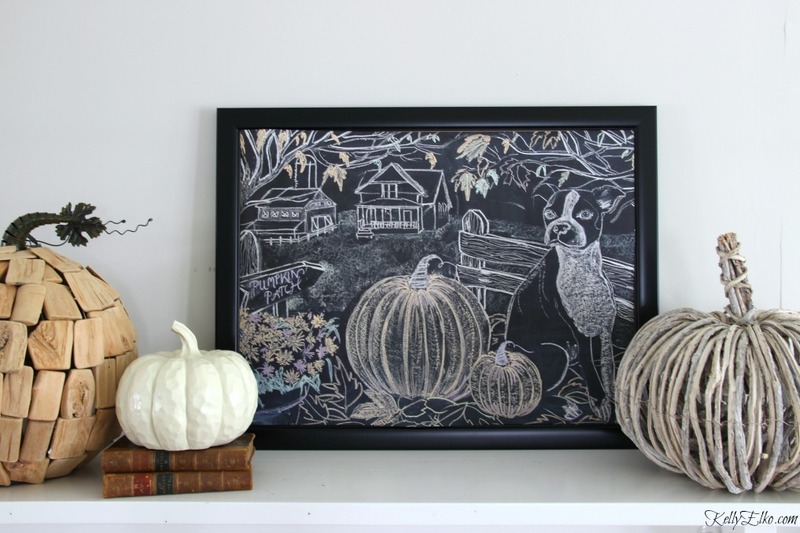 If you need a hostess gift, print out my free fall farmhouse chalkboard printable and pop it in a frame. 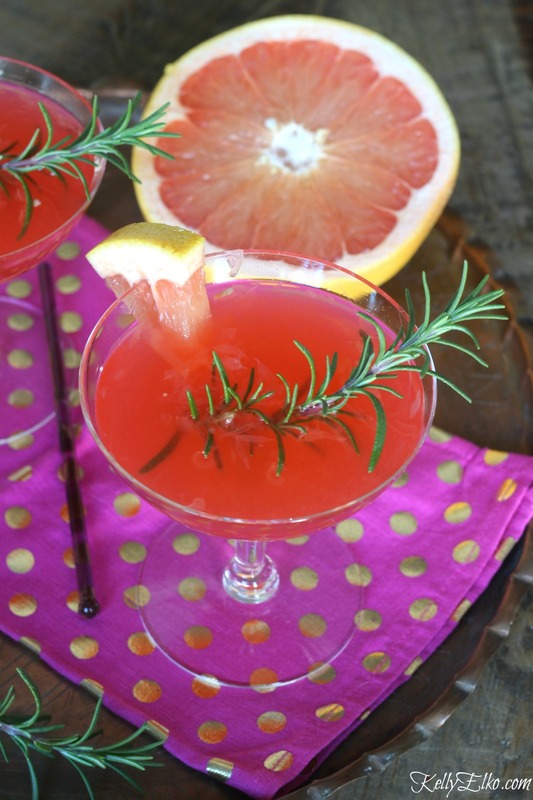 This cocktail is a crowd pleaser and I love to serve it around the holidays! Mix up a batch in advance for an easy and impressive cocktail. My girls are coming home from college and I’m so excited to see them. Wishing everyone a happy Thanksgiving and reminding you that elastic waist pants are your friend. Now bring on the carbs! You’re welcome! It was a good day. Thank you for the compliment!